Makes one wonder if the tourist picked up the wrong local for a one night stand. It is interesting how easy it is to kill someone and be acquitted in the Netherlands or Aruba. I don't know if anyone has followed this story, but a Mariner(Dutch National) player was killed by his brother who was just recently acquitted. A very sad story! Thanks for the clarification! Obviously I need more practice with even translated Papiamentu. 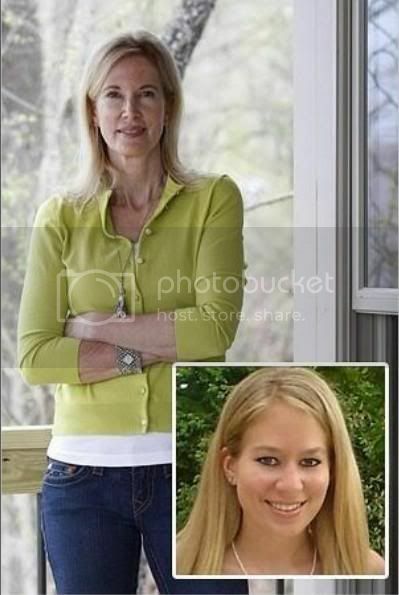 WASHINGTON (AP) — The mother of an Alabama teen who disappeared five years ago in Aruba is opening a resource center to help families of missing persons. 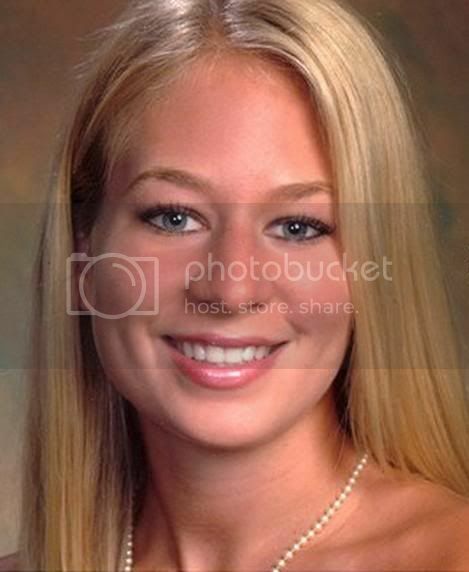 Beth Holloway has created the Natalee Holloway Resource Center, named for her daughter who went missing during a high school graduation trip to the Caribbean island. The center will be based at the National Museum of Crime & Punishment in downtown Washington. The nonprofit center aims to provide families with an action plan, examples of missing person posters, contacts, media liaisons and other services to guide families during crises. Officials also say they will provide educational programs on safe traveling and crime prevention and encourage careers in forensic science and law enforcement. Page 200: My child. My beautiful daughter. I can't save her. It's too late. Natalee is gone. And second to the great tragedy of losing her is if we fail to learn from what has happened. I could be any parent in the world. And no parent should ever go through this experience. Natalee could be anyone's daughter. And in these thoughts a new path is made clear. There is something I can do. Many people reached out to us, and I can now reach back to them. It might be too late to save Natalee, but it's not too late to save others. And it's time now to make good on my pledge. It's time now to make good on my pledge to stand before high-school and college students, law enforcement professionals, victims' rights groups, travelers of all ages, and anyone interested in personal safety to share Natalee's story and our hard lessons, so that others might learn from them. Yesterday went Farmer seeks woman again in the sixth season. And the farmers remain popular, as it turned out. The show was good for 3.7 million viewers. (For comparison Studio Soccer attracted 1,155,000 viewers and the evening news 2,690,000). Farmer seeks woman stands since 2005 in the top 3 most watched programs each year. In the recent television history was once a non-sports more popular: in 2008, 7.1 million viewers watched the episode of Peter R. de Vries which Joran van der Sloot statements that were recorded using a hidden camera. People visiting Arashi Beach on Saturday were angered by digging activities taking place in the ocean. 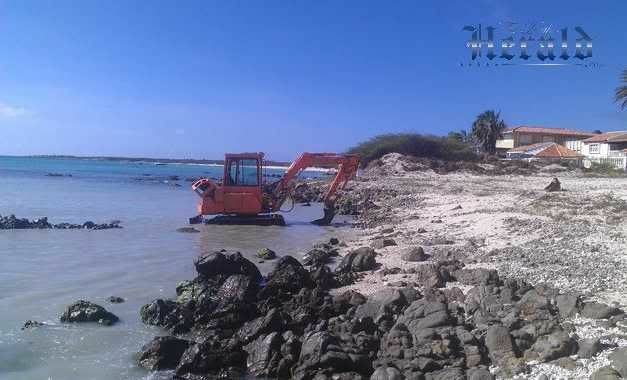 Police received several calls and checked in the area various times, but did not find the heavy equipment in the ocean, until later, during a routine patrol, maritime police spotted the vehicle digging off the shore. It remains a mystery who is responsible for the digging and what the intention is. FYI as a reminder - Arashi is near the Lighthouse and Malmok is where the Gottenbos home was back in 2005. Was the changing story that emerged on June 14th ... the changing story "Natalee was left at the beach" a distraction from the truth ... the truth encompassing the happenings in the early morning of May 30th which ocurred at the lighthouse ... at Arashi Beach. The girl then had told me that she wanted to go to the North Coast to see sharks. I had told her that there were no sharks to be seen at the North Coast. She answered that there were sharks there and that she had seen them already. We decided to drive into that direction then. We had driven to the "Lighthouse". On the way there the girl had asked us where we were taking her. She further told us to bring her to the Holiday Inn because the next day she would have to travel back to the United States. We drove past the Lighthouse and after that to the Holiday Inn Hotel. Then my brother drove to the Holiday Inn to drop the girl off there. I drove at the request of the girl in the direction of the Lighthouse, because the girl wanted to see it. After we drove up along side the Lighthouse, I returned to the Sasakiweg (main road?). Joran told me that the girl had fallen asleep. Kyle Kingman: While we were searching shortly before Christmas, we were contacted by an Aruban detective who was involved in the Holloway case. Kyle Kingman: Just before Christmas they are contacted by a detective and his brother who gave them information that turned out to be the correct latitude. Kyle Kingman: He came to us during the search along with his brother who had a "vision" on where Natalee was disposed. Kyle Kingman: The brother thought they were coordinates, but it was just a latitude. Oddly, the latitude was within a half mile from where we found the trap and centered on Arashi beach. Kyle Kingman: Based on this latitude we payed a little more attention to the northern portions of the search grid near that Latitude. The trap was found shortly after, within the original search area, but very close to the provided latitude. Kyle Kingman: I think he used his brother and gave us only the amount of information he felt we needed to come across the trap. Kyle Kingman: If a key detective's brother knew the latitude the trap was disposed at or very near, then it's probable the detective knew the same. Kyle Kingman: The implications of this are tremendous. If true, it means that the early investigators knew where and how Natalee was disposed and it was kept secret and covered up. Page 118 - Sometime in early July 2005, Robin and I saw Deputy Police Comissioner Gerold Dompig's son and another young man who appeared to have similar descriptive features of Steve Croes, the Tattoo party boat disc jockey who had been arrested and released, trying to pick up a girl in the Holiday Inn lobby hallway and get her to go to Carlos and Charlie's. The girl was offering resistance and trying to distance herself from these two. As the guys were walking by, young Dompig noticed me and immediately discontinued his activity. The other kid realized he was getting nowhere with the girl and started in on another set of women. I walked up to Dompig, and he seemed a little embarrassed that we had witnessed his actions. He then started talking about the case, and during this conversation he mentioned that he had heard that Paulus van der Sloot had borrowed a friend's boat on either the night of Natalee's disappearance or the next day and that he was allegedly involved with Natalee's murder. That brought to mind one of Joran's statements. He referred to a friend by the name of Koen Gottenbos. Apparently, this friend's father owned a boat. The message was that this boat was used to take Natalee out to sea. Another boat that was also mentioned by him was the Pair A Dice, which is a local boat from Aruba. Page 181 - Art and I talked to Ms. Flanagan about all the red flags that we were seeing and that we thought Koen, Joran, and Deepak took Natalee out in the boat. She agreed with that theory. She added that the reason she had left the case was because she thought Koen was lying, and when she asked the police to reinterview him, they refused. We told her that we were going to talk to the prime minister the next day to lay it all out. Page 177 - After Dompig heard we had found the boat, he indicated that he was going to bring Koen in for questioning in a day or so. I told him that if they interviewed Koen, they might solve the case. Page 182 - I asked Dompig to do the interview of Koen instead of having Jacobs do it. I became concerned because he said he would have to discuss it with Jacobs first. Several weeks later, I heard that Koens father had been interviewed, but Koen had not been questioned yet. Janet, do you have links for your last two posts? Dave Holloway's book ... Corrupt in Paradise ... is the source of the Koen post. I included the page numbers.